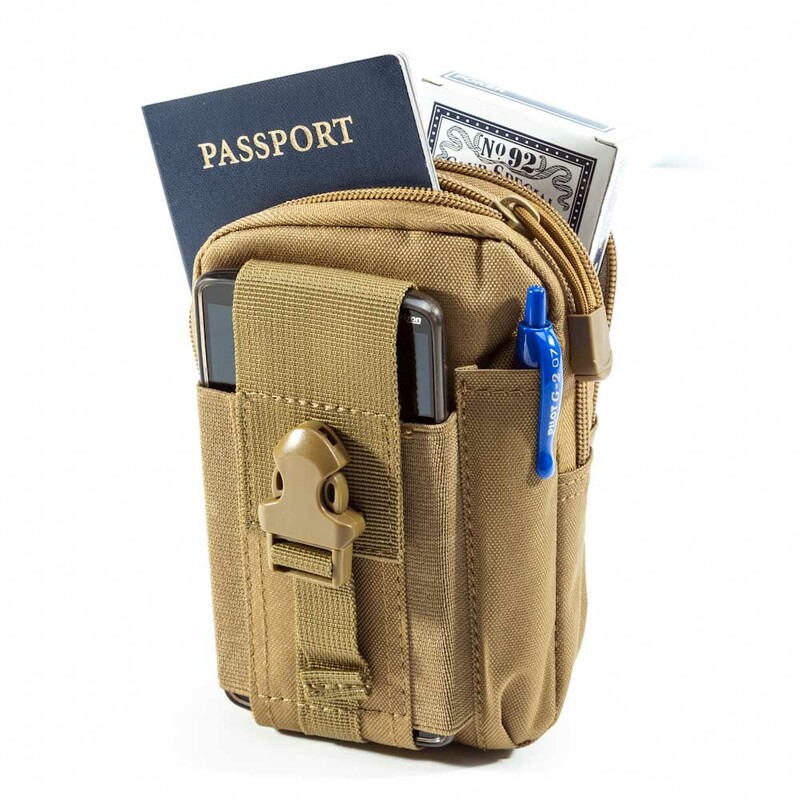 Fits Up to 6″ Smartphones like the iPhone and Android devices (6.75″ x 3″ max). 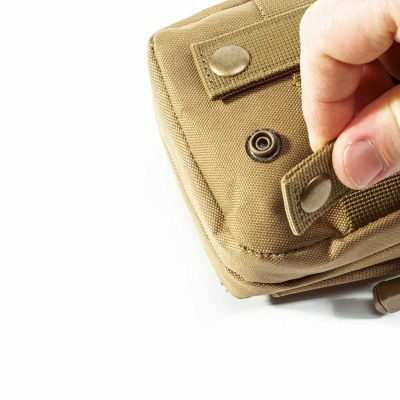 Carry a wide variety of equipment including Wallet, Phone, Smartphone charger, Flashlight, Notebook, Pen, Marker, Keys, Chapstick, Bandaids, Sunglasses, Passport, Flash drive, Cables, Headphones, Cash, Batteries, Gloves, Comb, and MORE. Available in Midnight Black or Desert Tan. 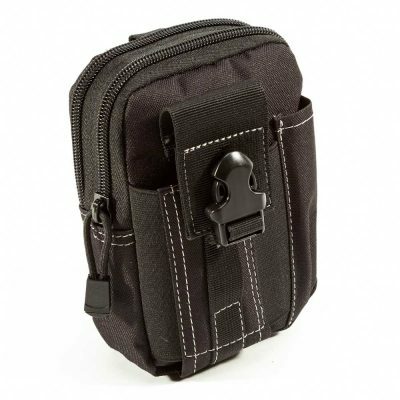 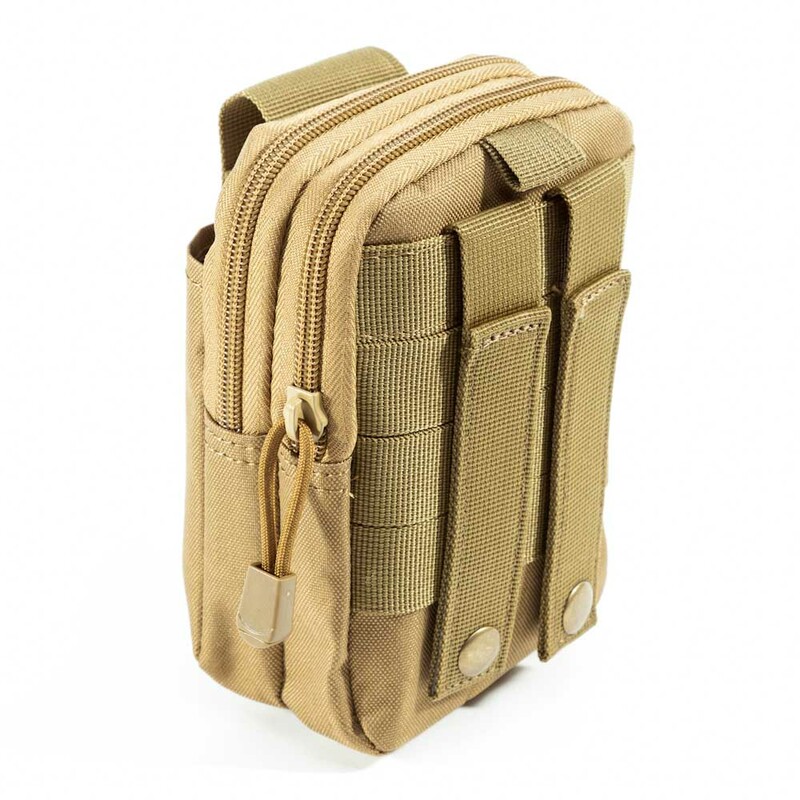 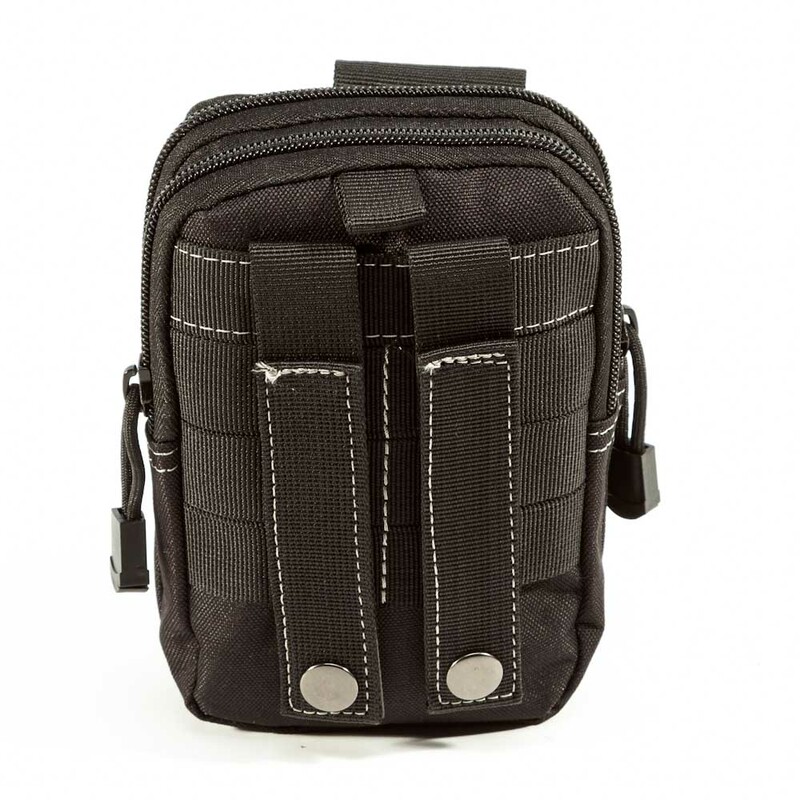 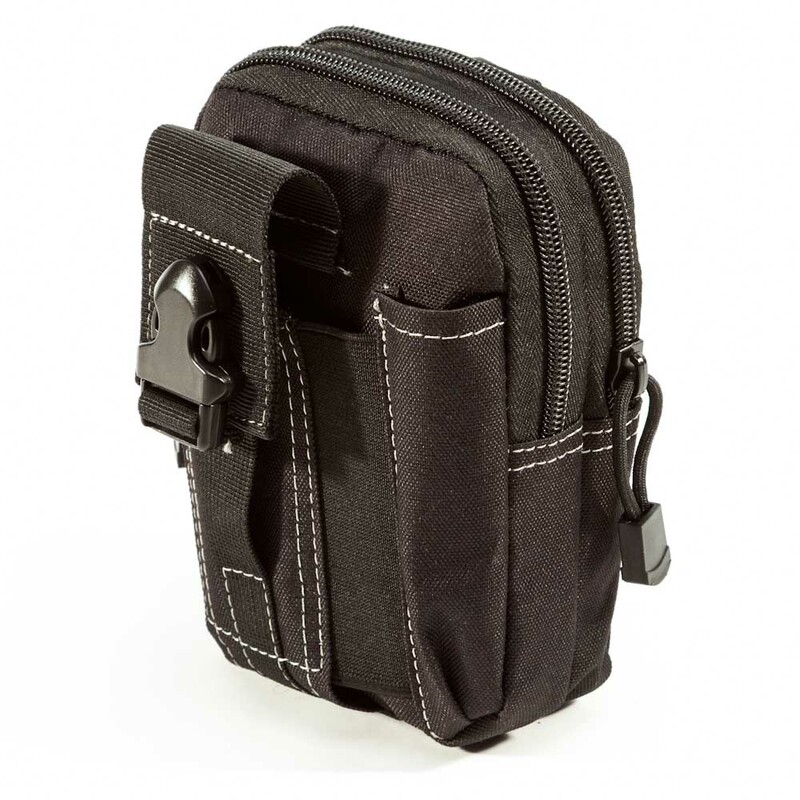 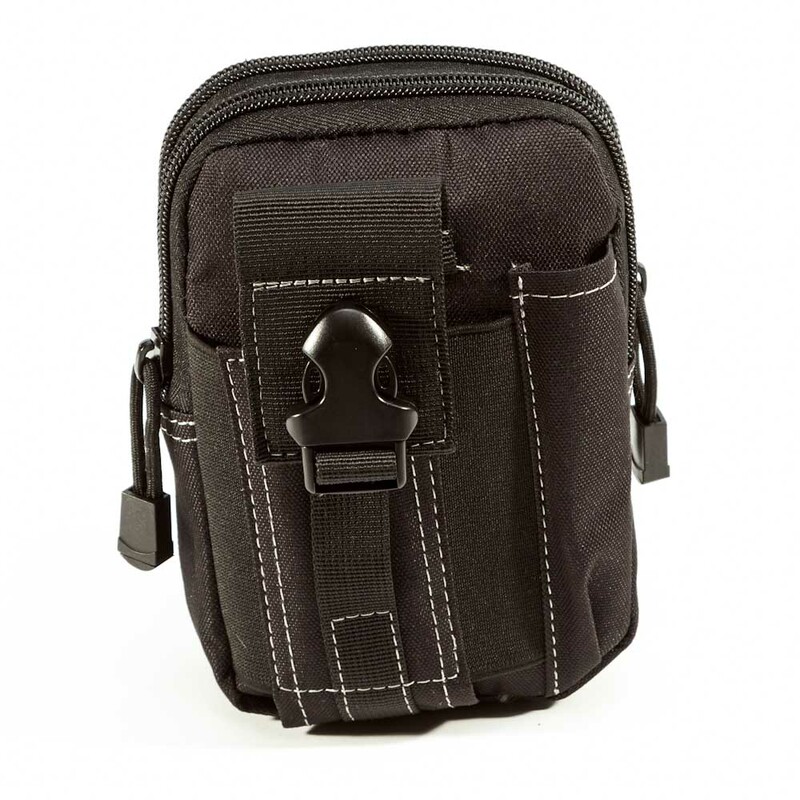 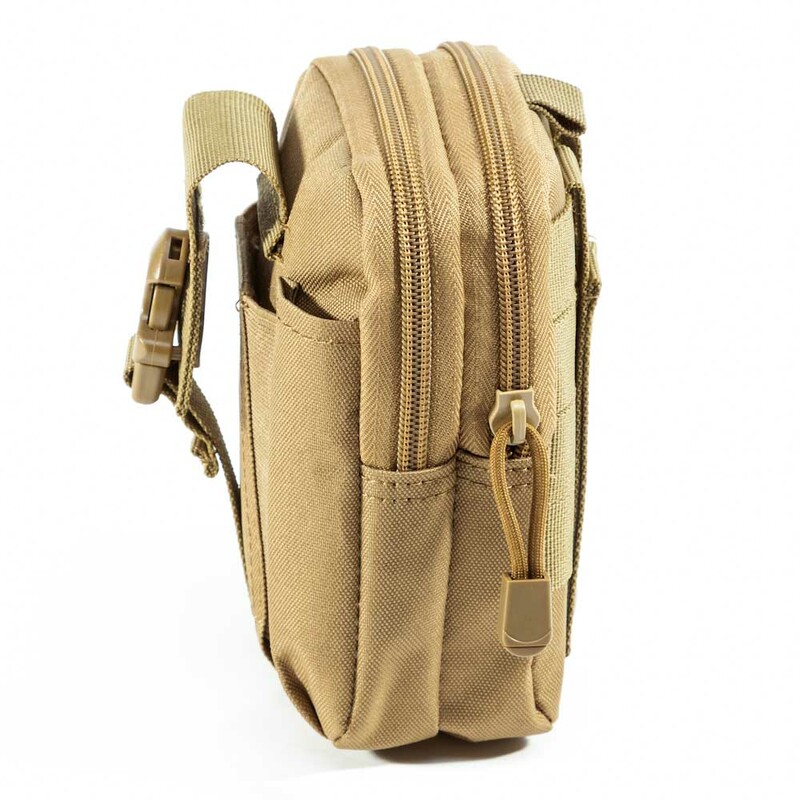 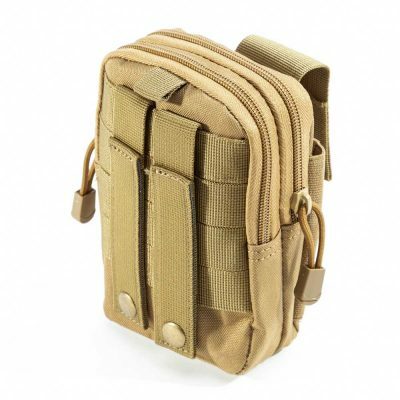 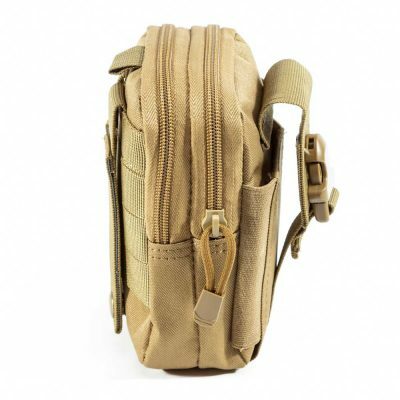 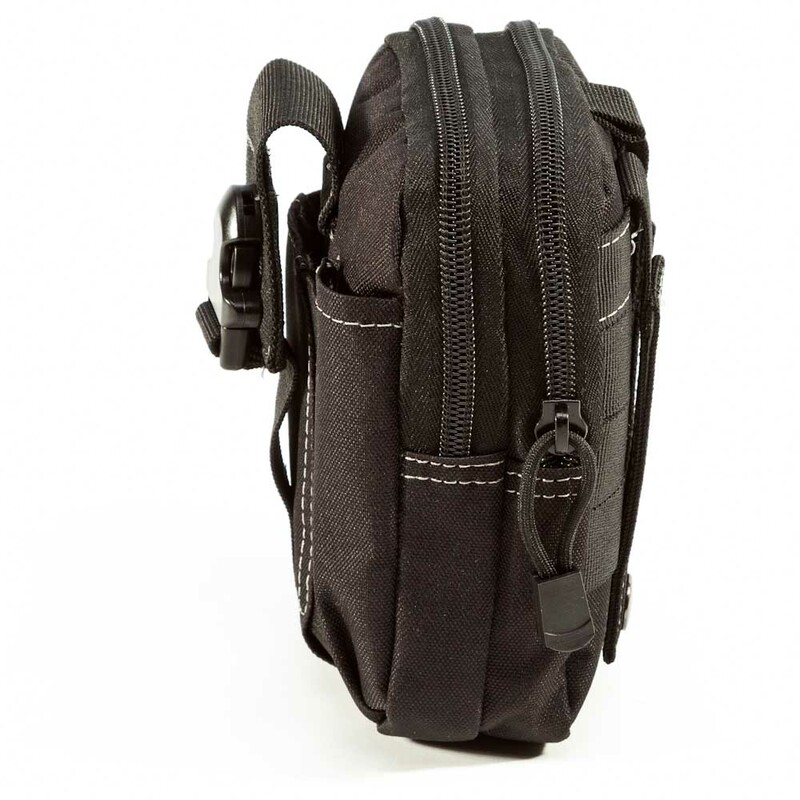 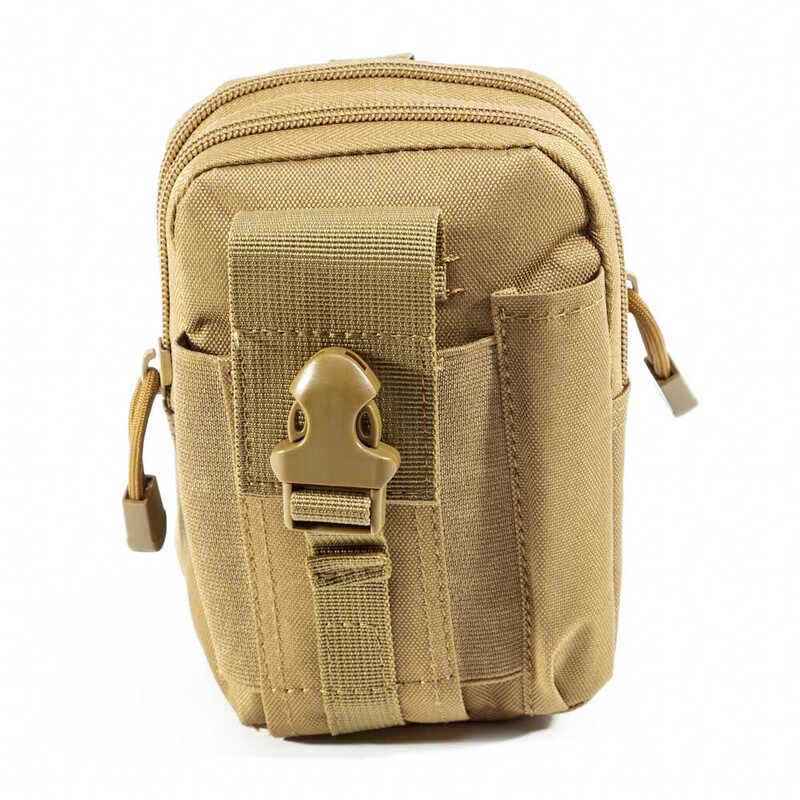 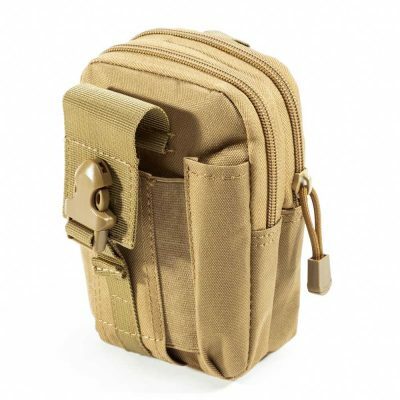 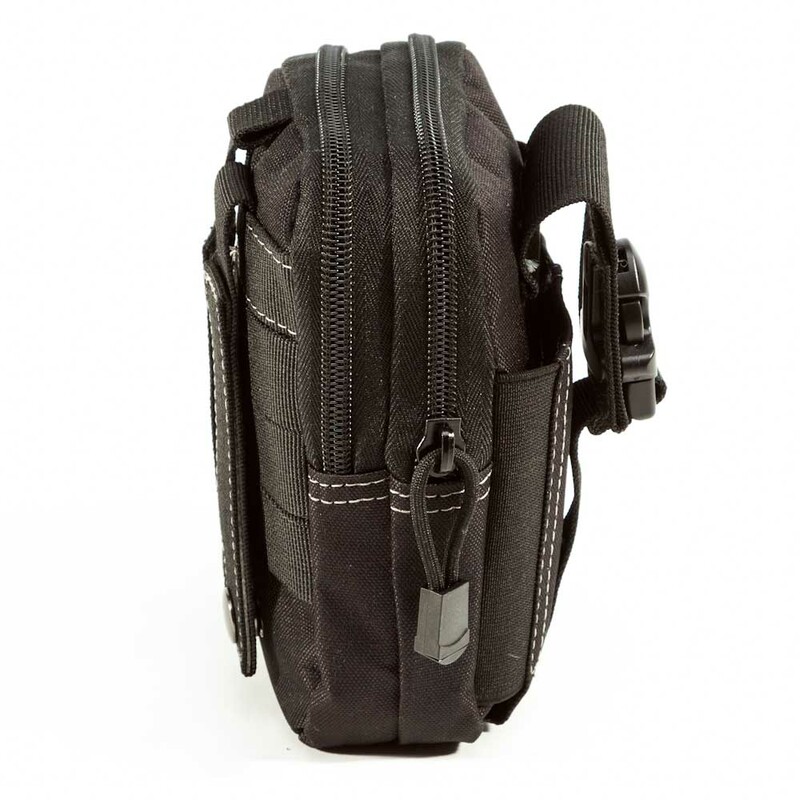 Features 6 different pockets in a sturdy nylon design. 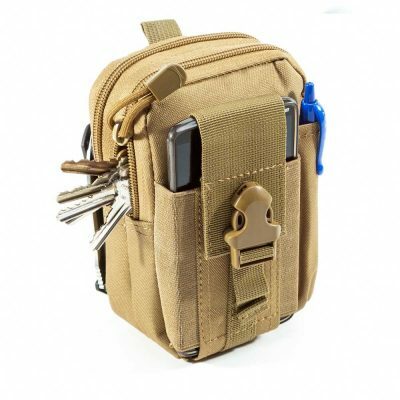 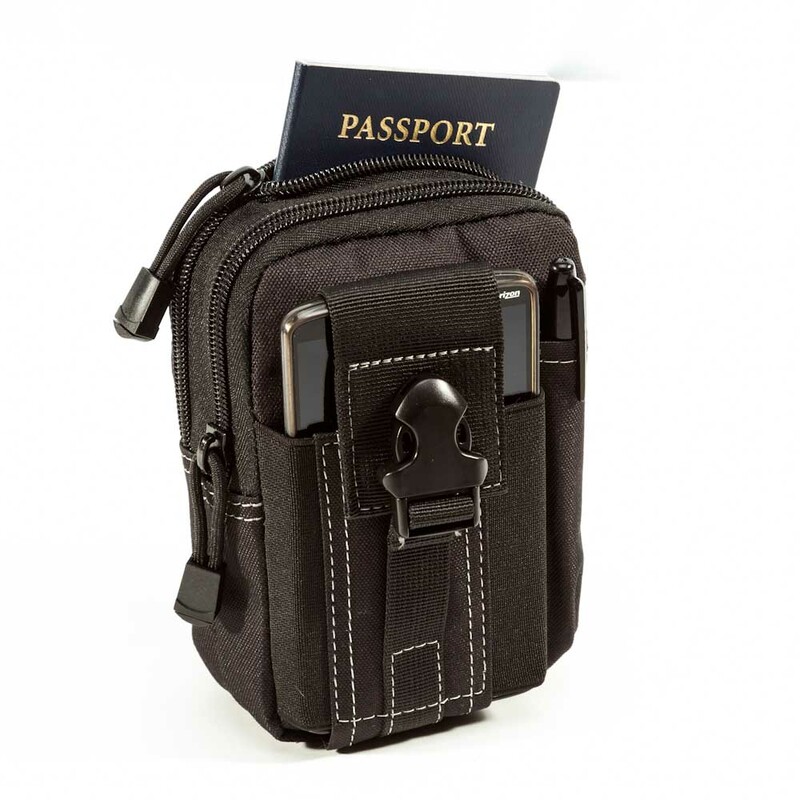 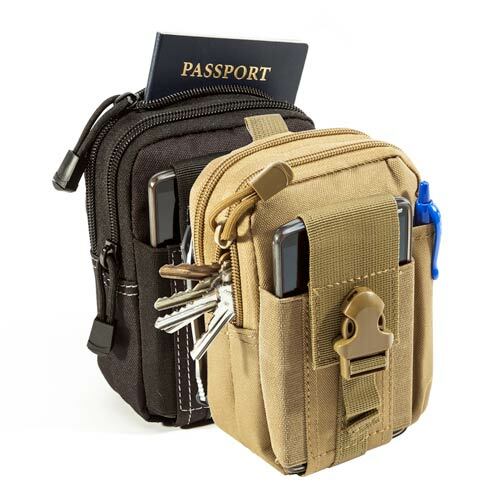 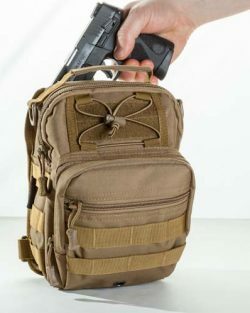 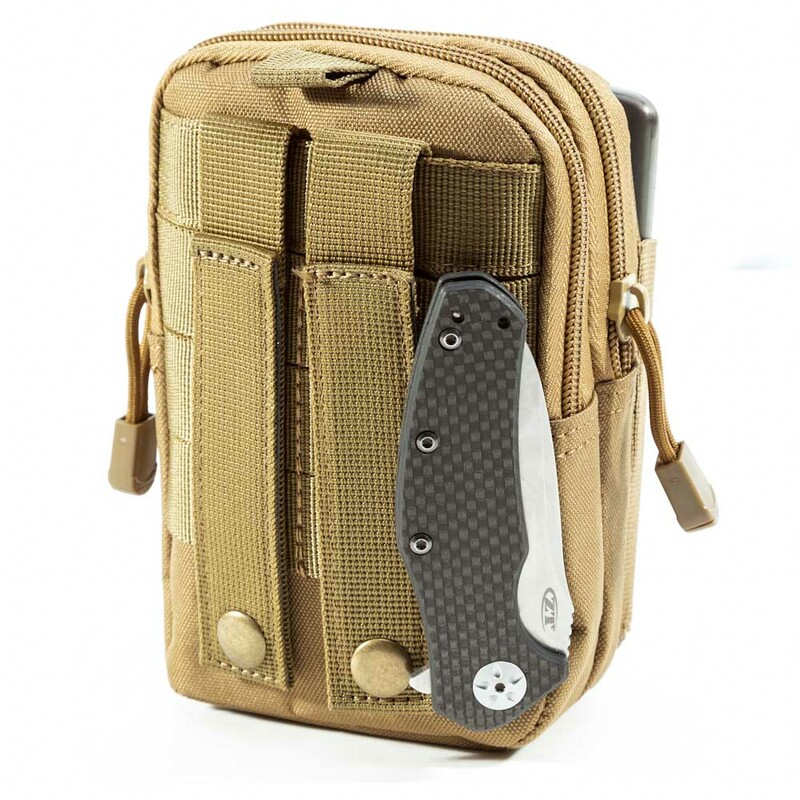 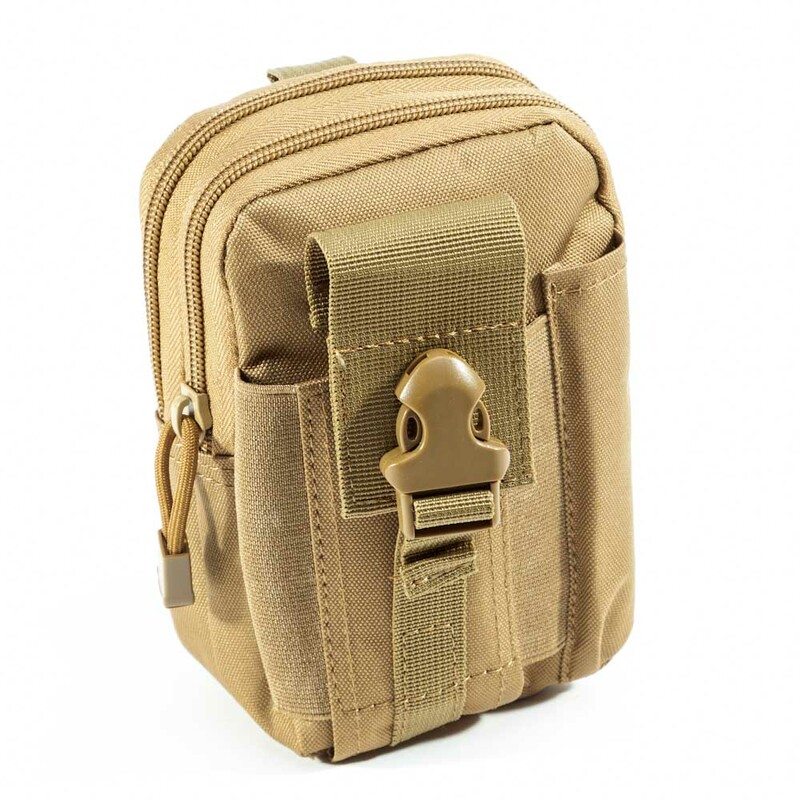 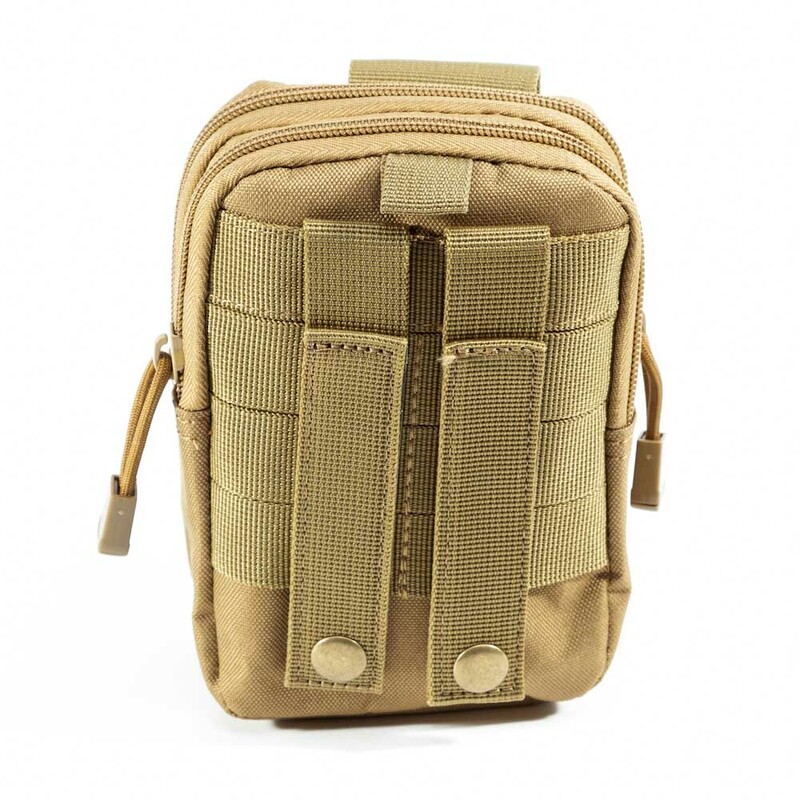 Made to fit a variety of equipment including Wallet, Phone, Smartphone charger, Flashlight, Notebook, Pen, Marker, Keys, Chapstick, Bandaids, Sunglasses, Passport, Flash drive, Cables, Headphones, Cash, Batteries, Gloves, Comb, and MORE. Fits Up to 6″ Smartphones like the iPhone and Android devices (6.75″ x 3″ max).